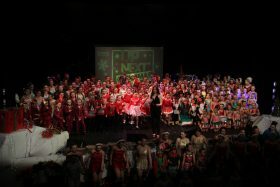 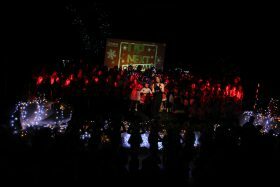 Congratulations to all the budding performers who took part in the festive spectacular show “UP NEXT CHRISTMAS 2017”. 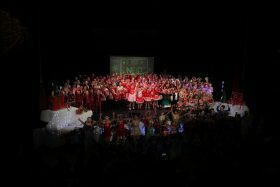 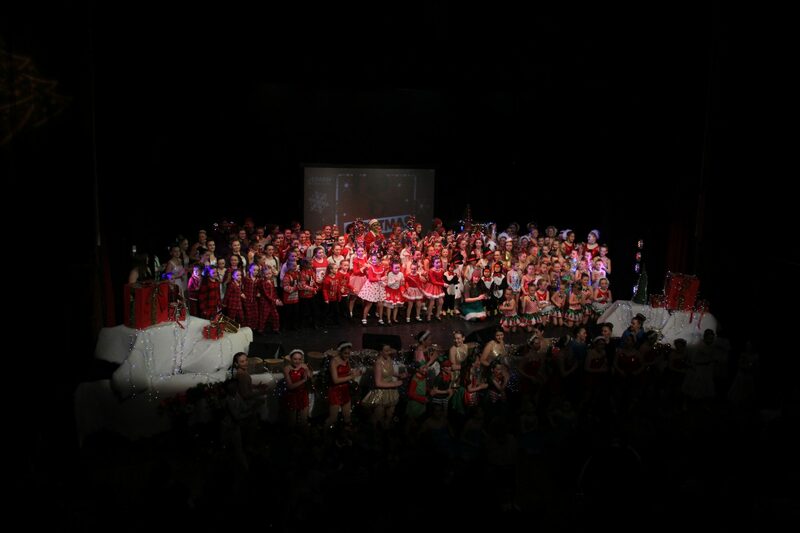 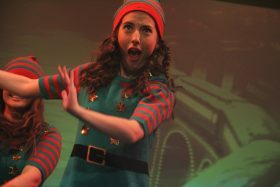 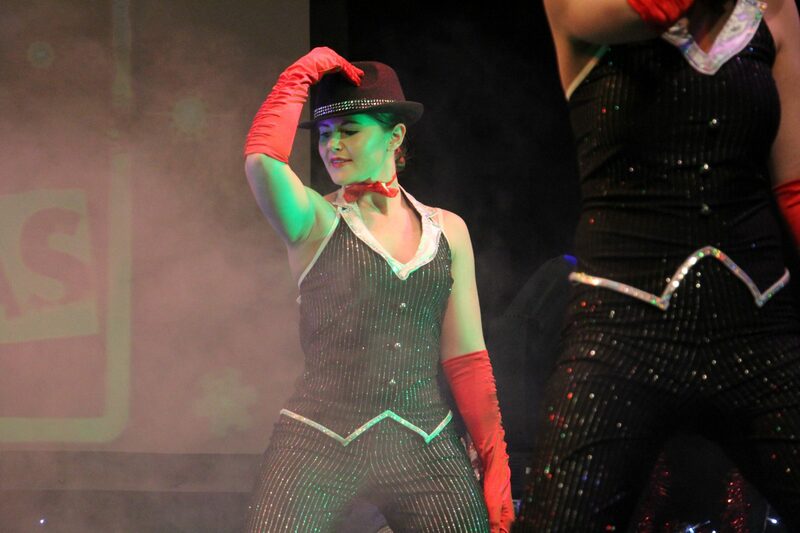 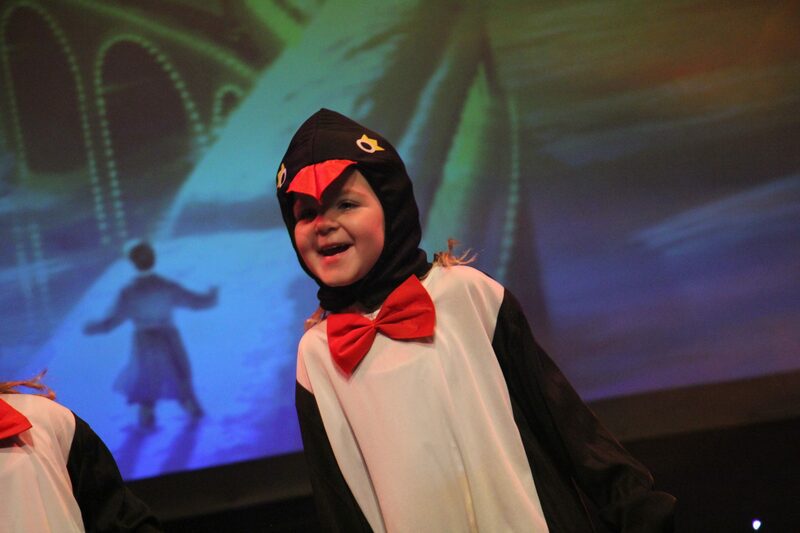 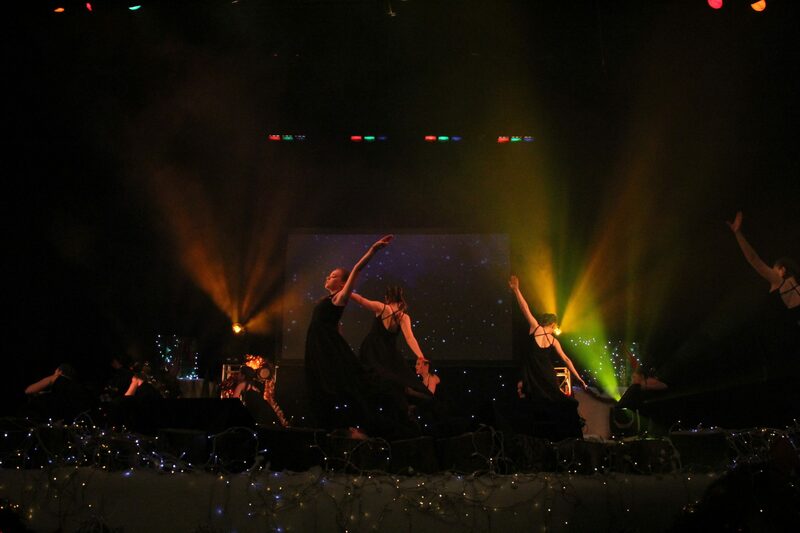 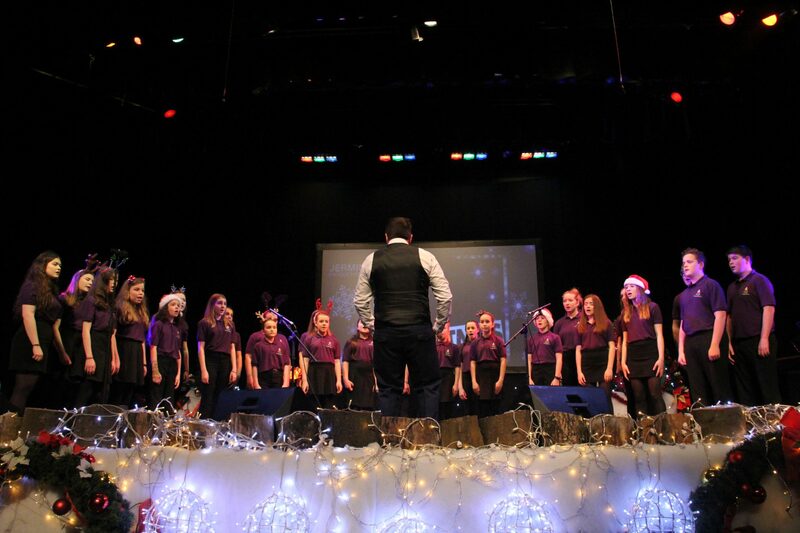 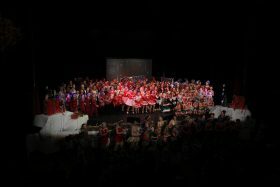 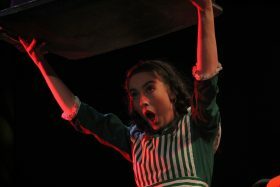 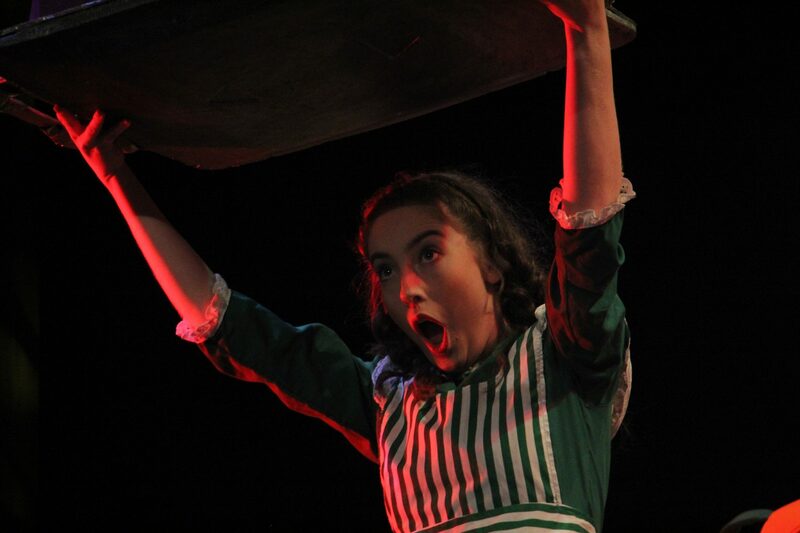 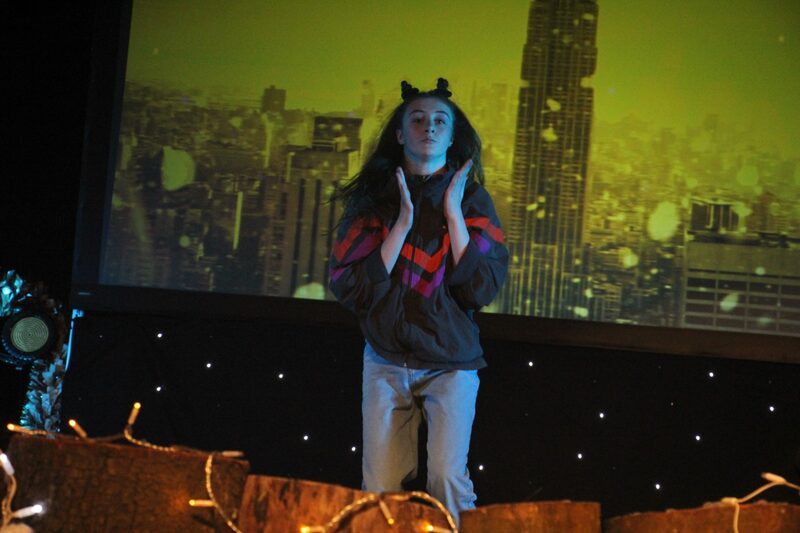 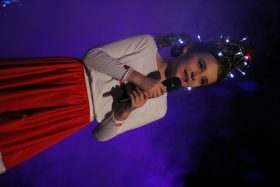 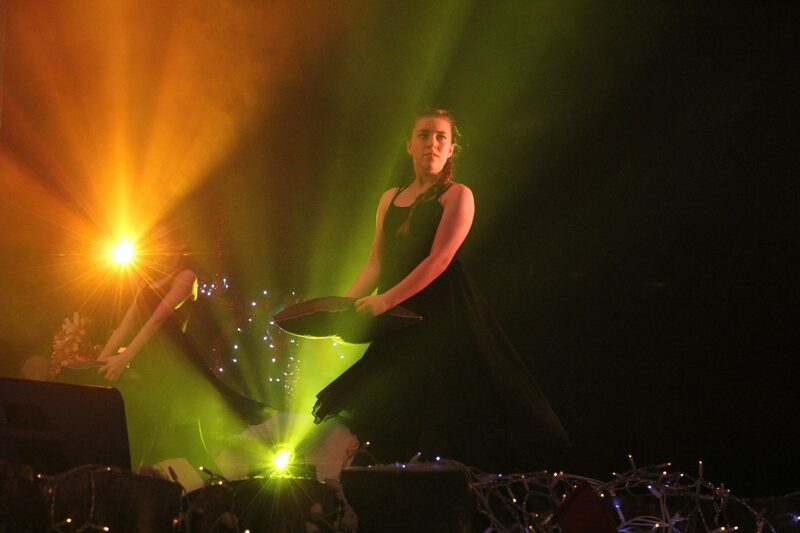 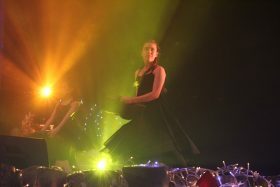 This production, which showcased the brilliant talents of many schools, academies and soloists also had good will and festive cheer at is heart as the show raised money for Maggie’s. 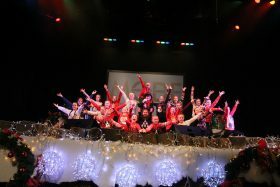 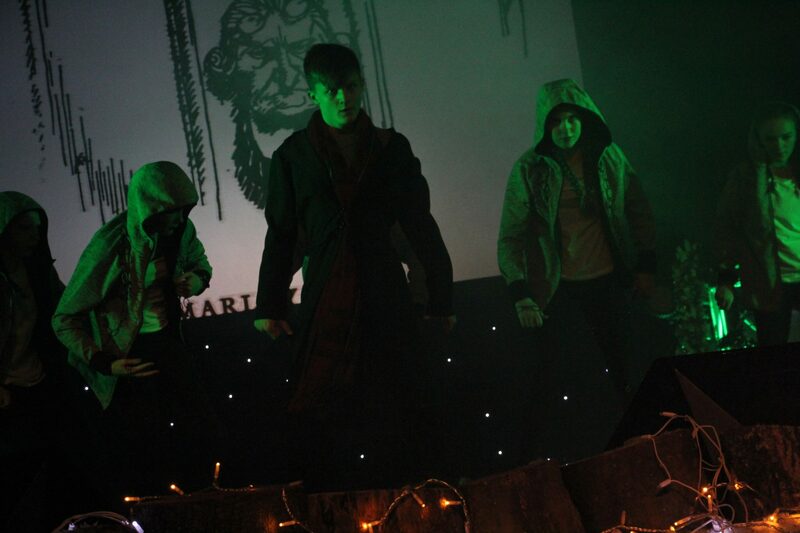 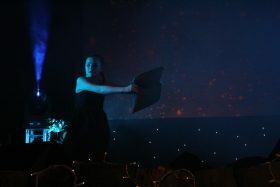 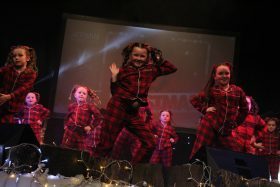 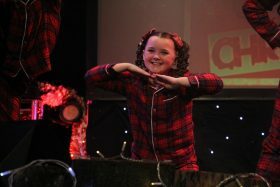 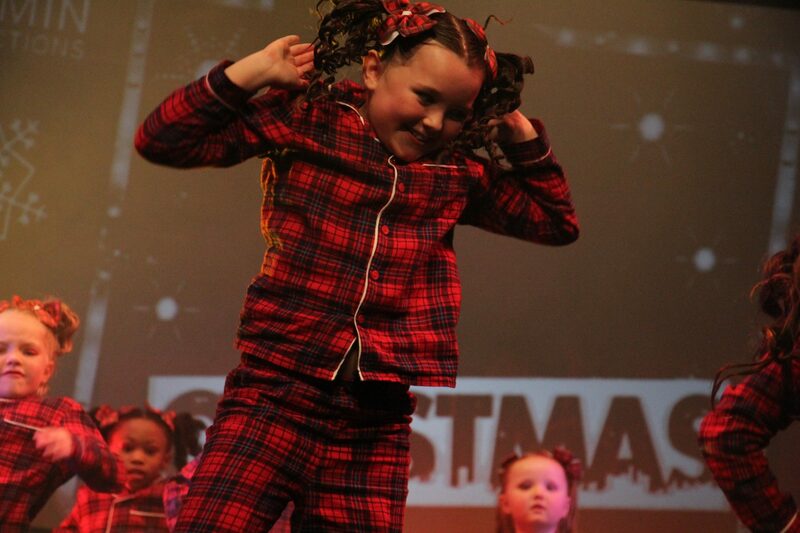 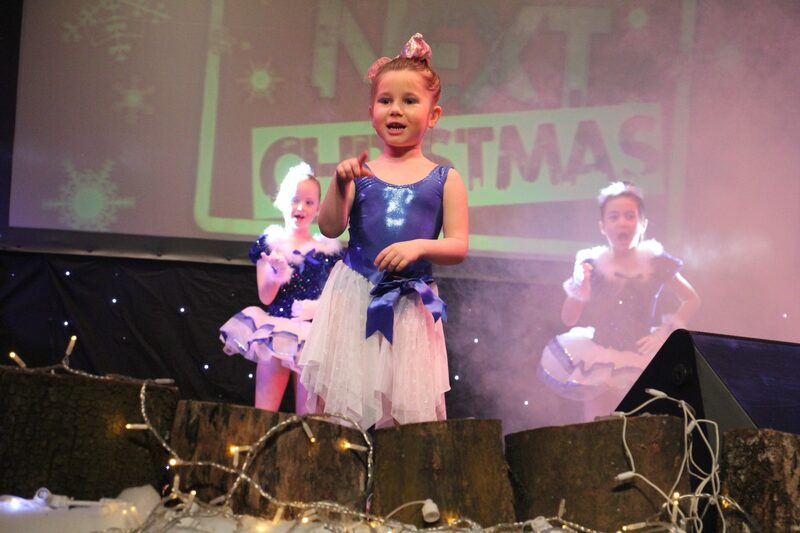 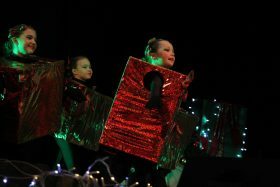 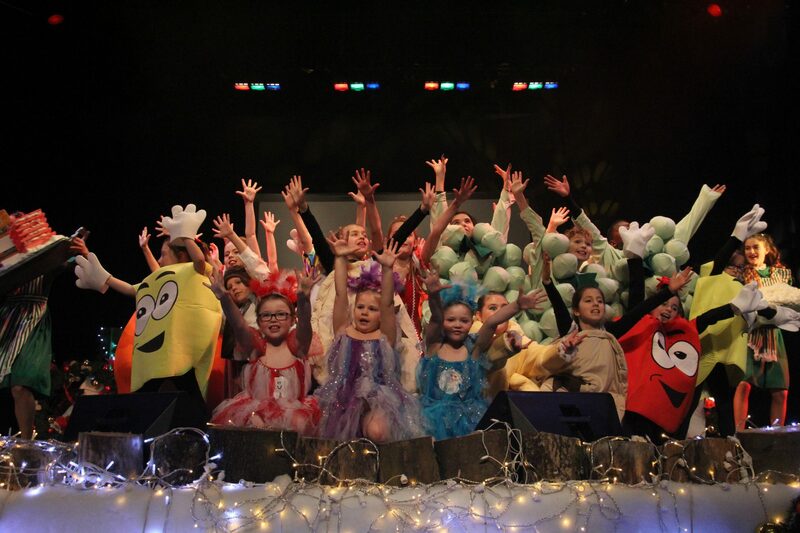 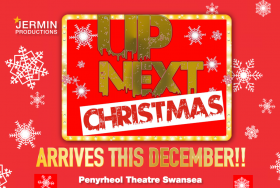 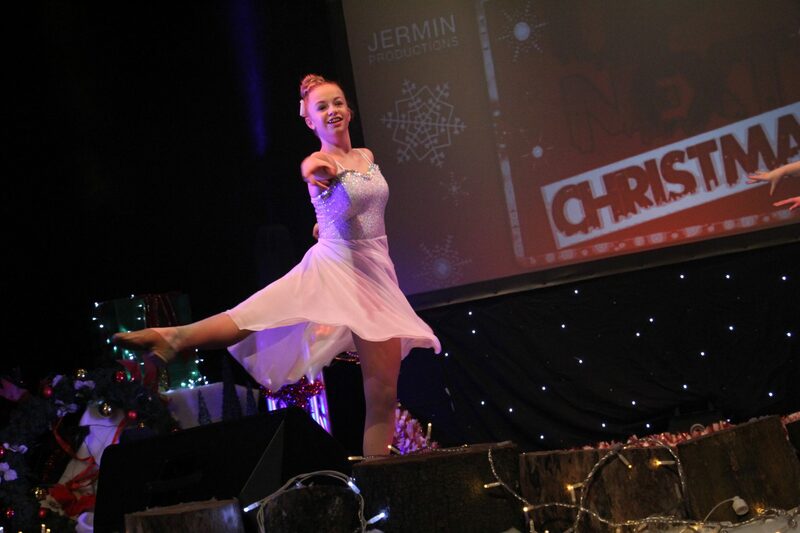 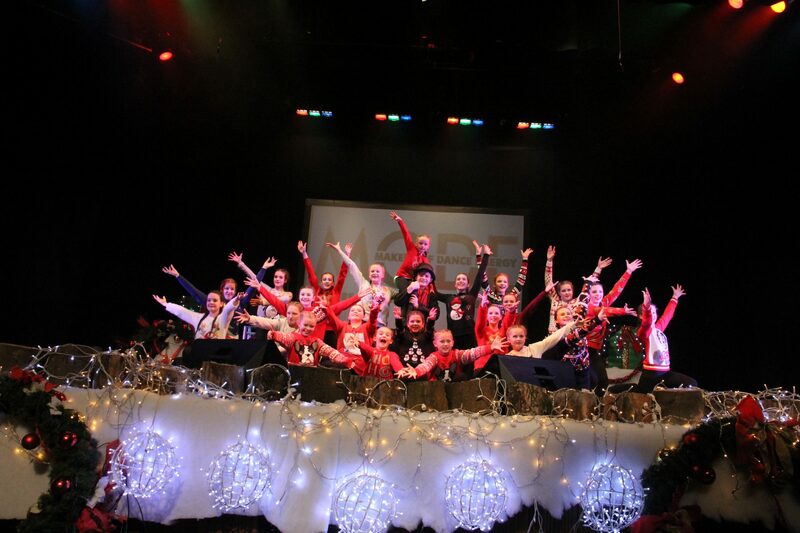 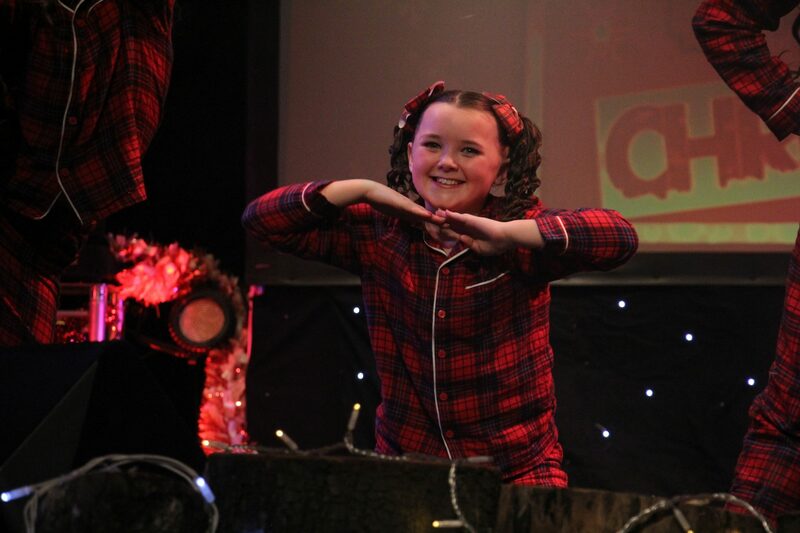 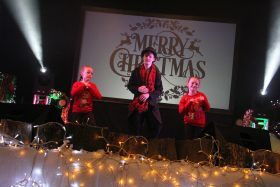 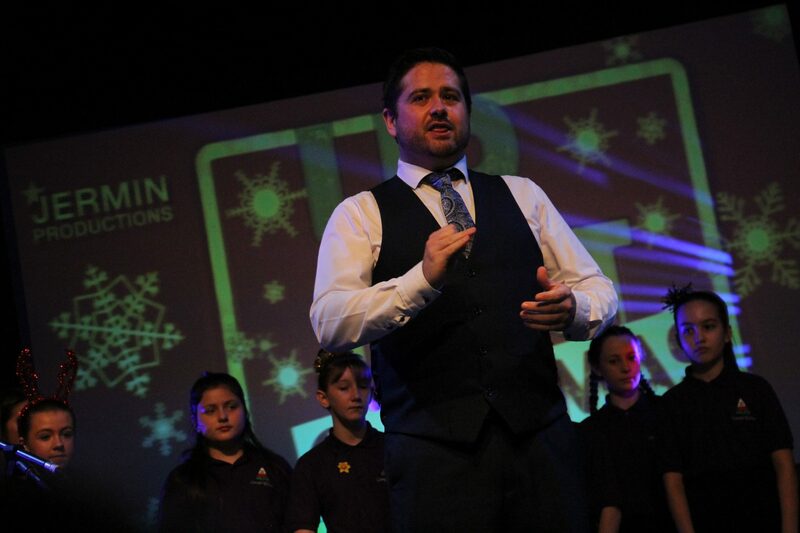 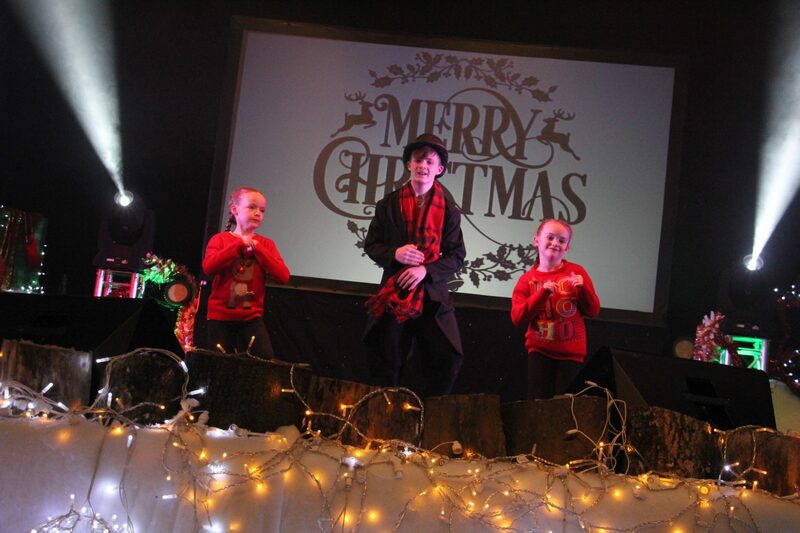 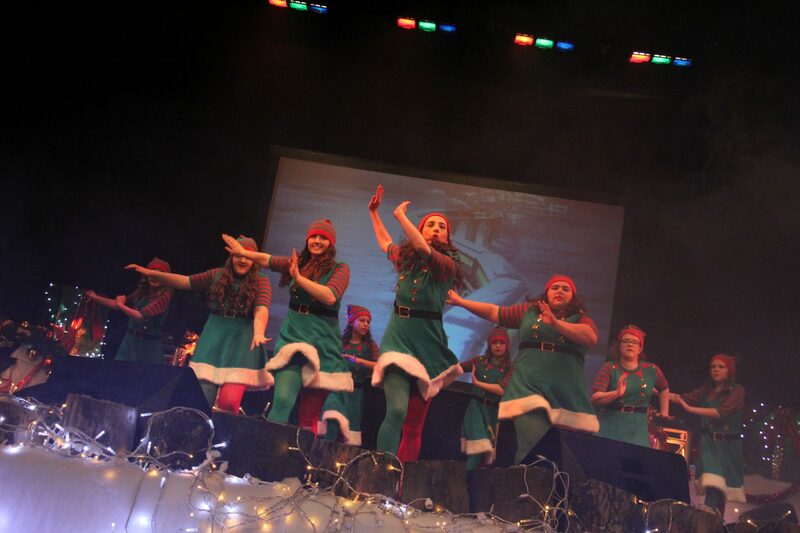 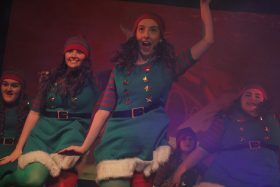 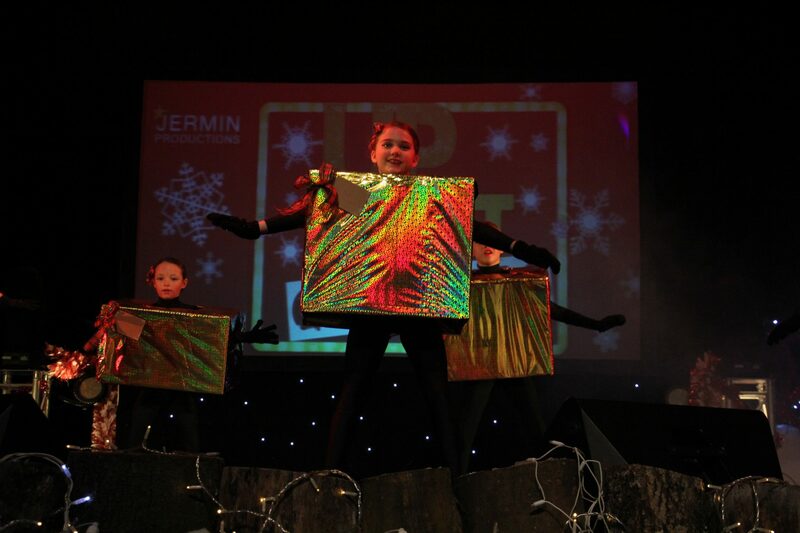 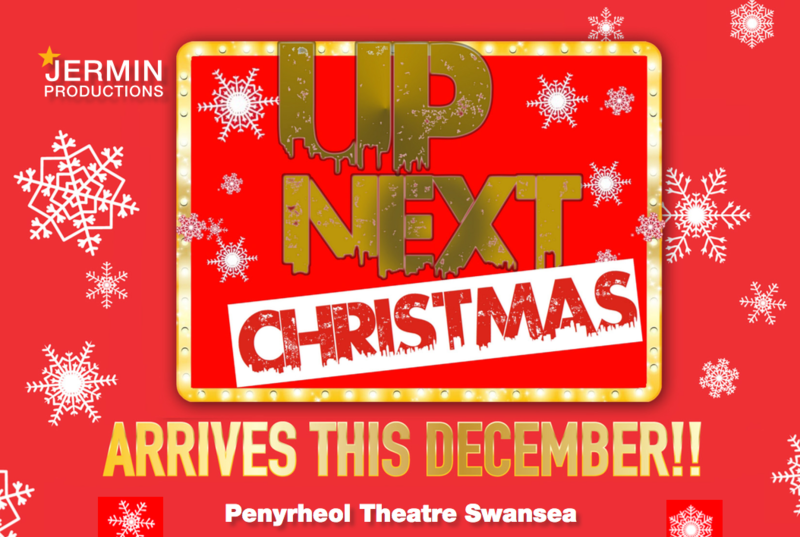 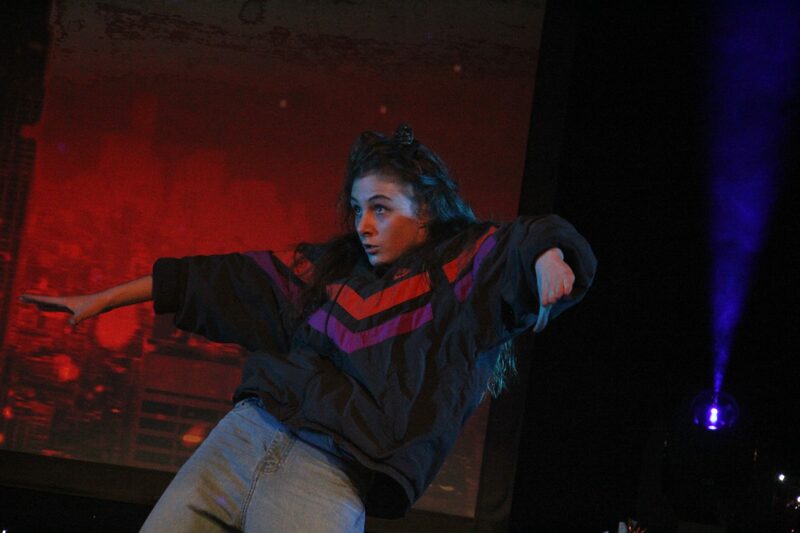 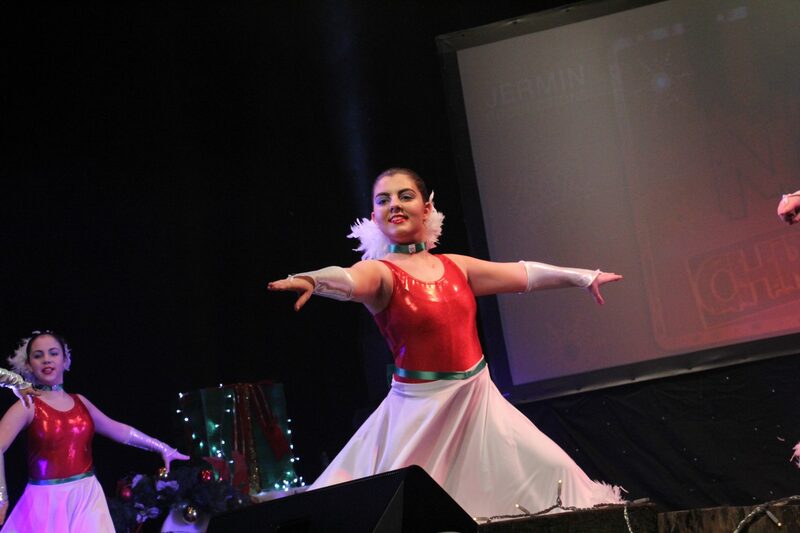 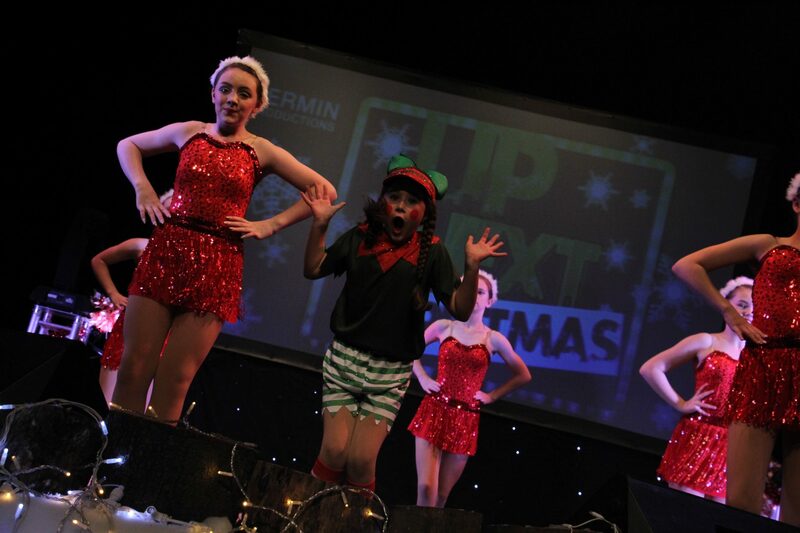 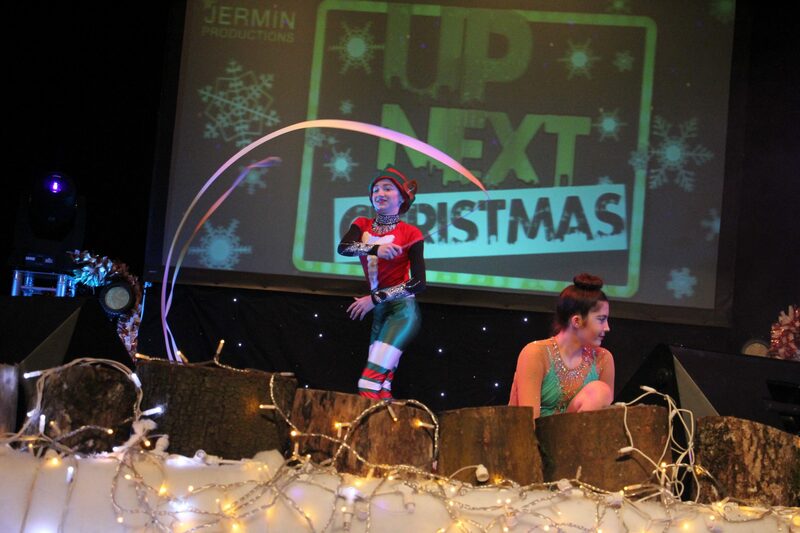 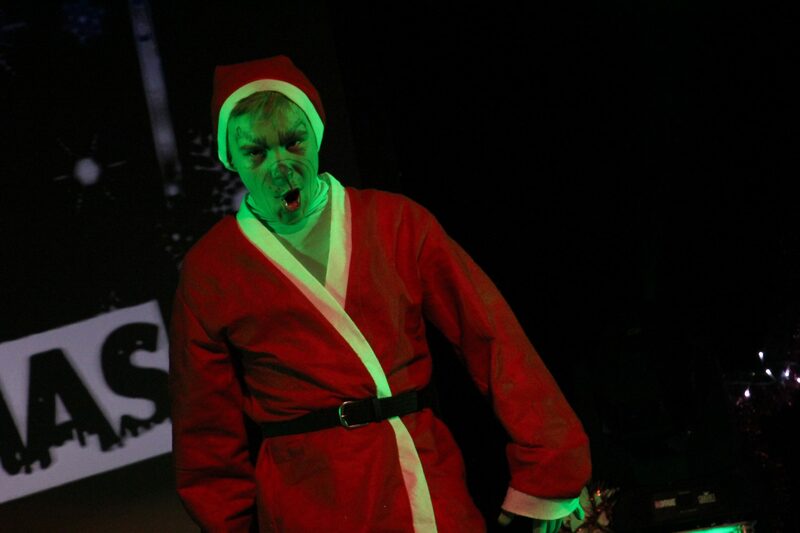 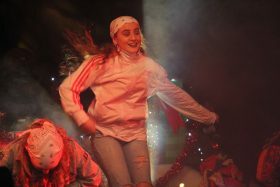 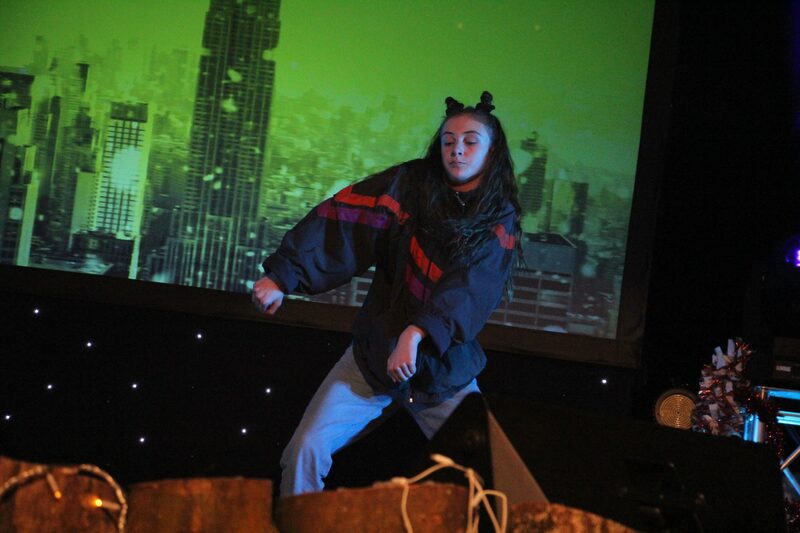 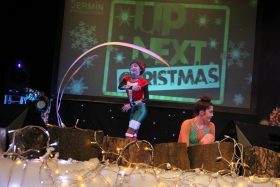 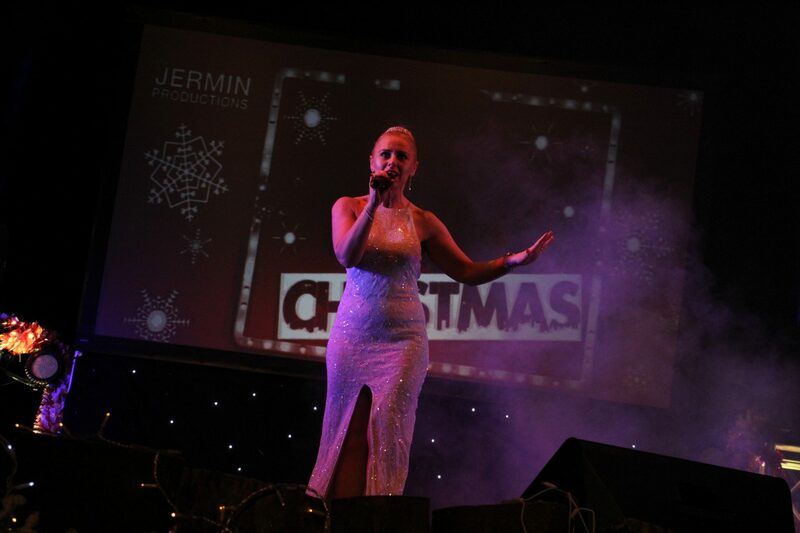 This was the first of the “UP NEXT” style branded shows to run at Christmas and the team behind the Christmas extravaganza (Swansea’s Evening Post and local company Jermin Productions) were delighted with how the show went. 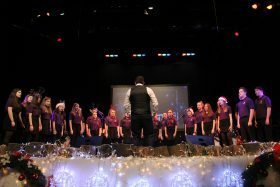 The event also helped raise awareness and funds for the Maggie’s and the Mr. X Appeal whose work throughout Swansea and South Wales is hugely recognised by many families going through Cancer and offers the practical, social and emotional care that people need. 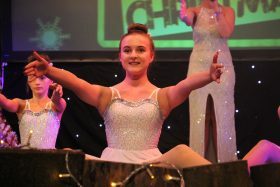 Hazel Johnson School of Dance which has been training pupils for over 50 years. Some of this school’s alumni include Phillip Michael Thomas who performed in West End shows such as Mamma Mia and Oliver and the Oscar winner and Swansea born Catherine Zeta Jones. Up Next saw the Hazel Johnson school perform 3 beautiful Christmas routines involving an intricate light display which went down brilliantly with the audience. The Rachael Smith School of Dance took us on a beautiful journey to Narnia with their slick and very polished routines. 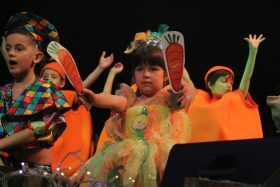 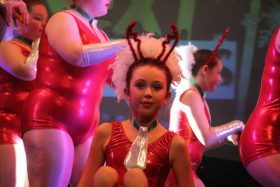 The students from this school who regularly take part in numerous Dance festivals study Tap, Modern Jazz, Ballet, Lyrical and Acrobatics and their skills were showcased in their routines. “A big Thank You to all for making this show happen, we have really enjoyed being part of UP NEXT” says Dance school principal Rachael Griffiths. 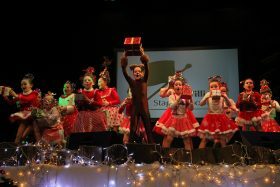 The Shirley Rees School of Dance also demonstrated their skills with their delightful Christmas routine, at a Theatre which is of course very local to the school. 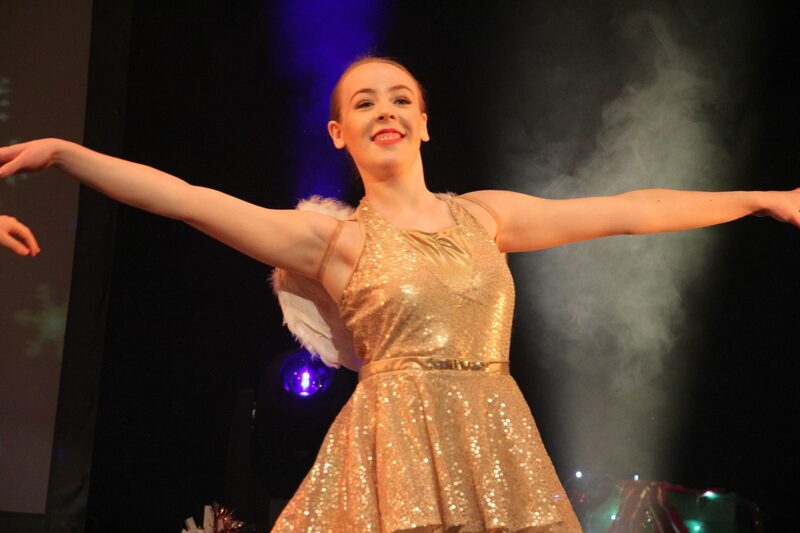 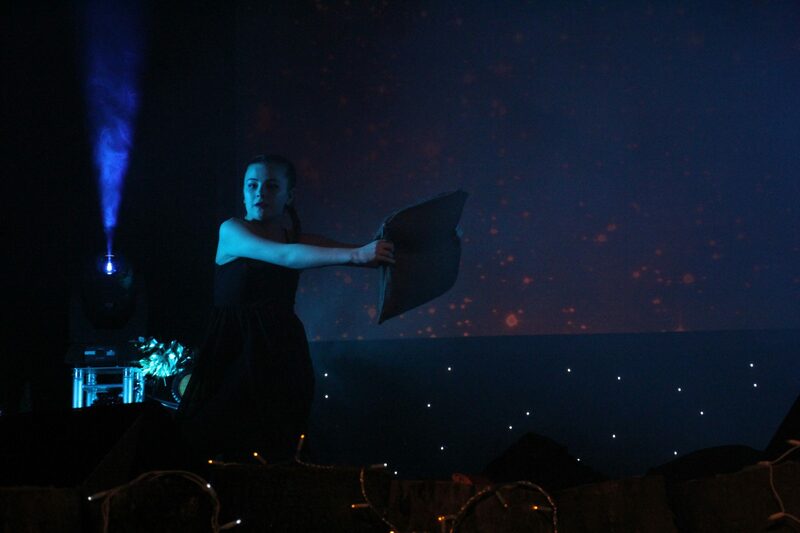 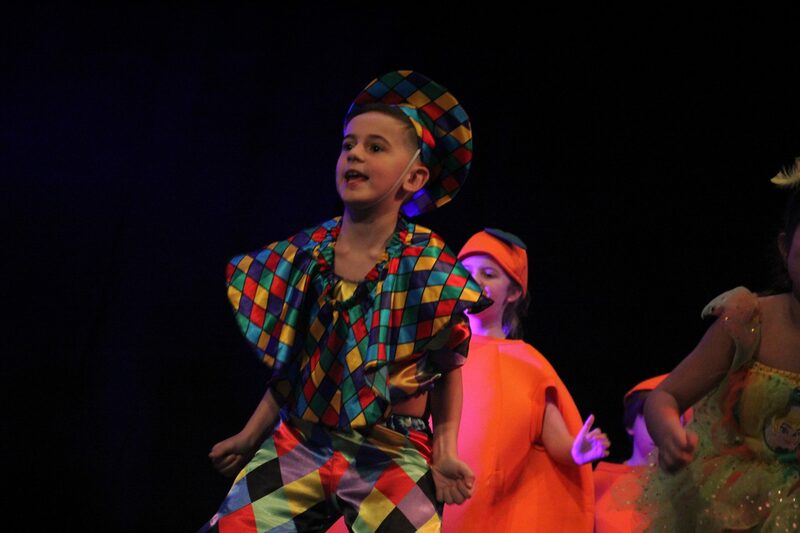 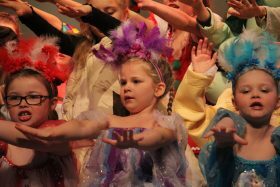 The Shirley Rees pupils have vast experience of performing in Pantomimes and Dance school productions as well as taking part in ISTD Exams and this showed in their performance. 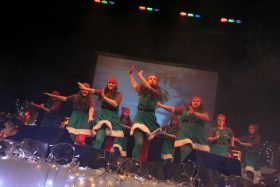 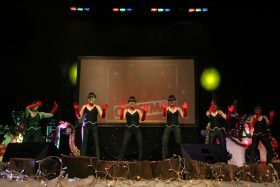 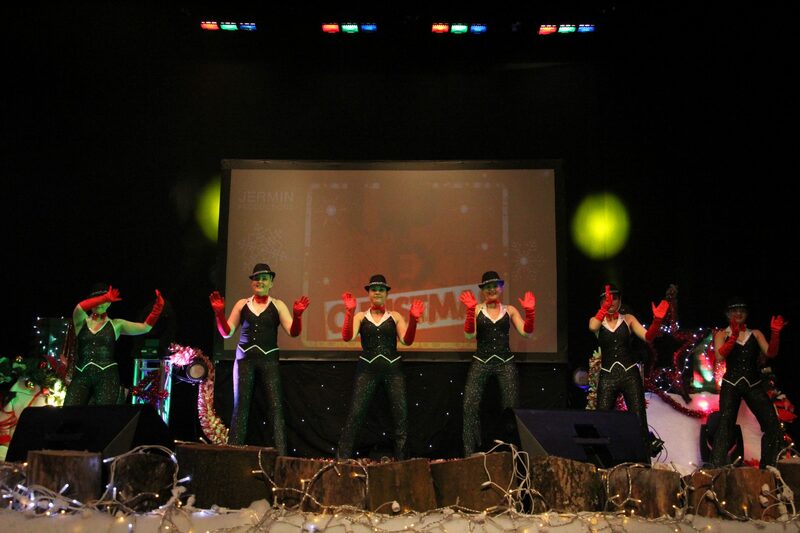 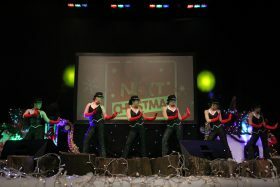 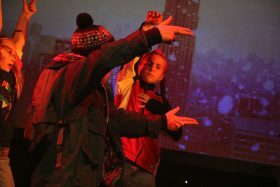 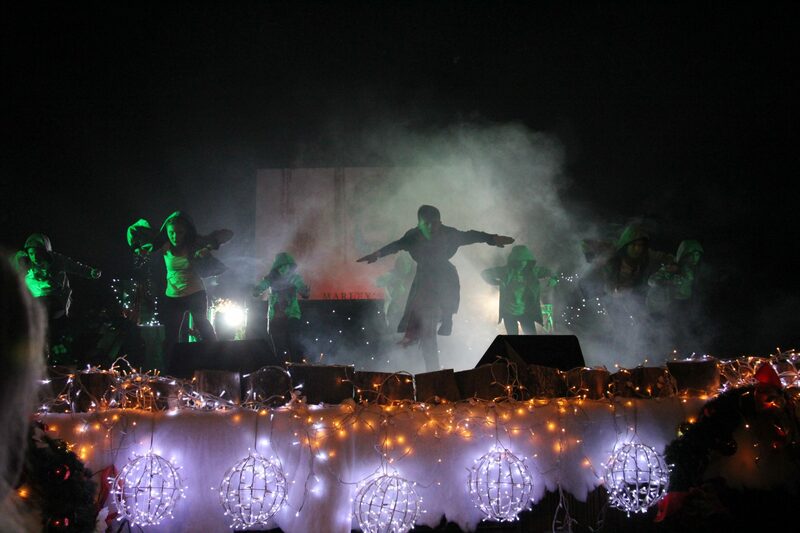 Offering a Christmas Urban theme to the show was Synergy Dance Collective, whose creative take on the film Home Alone was a real crowd pleaser of the evening closing Act One of the show. 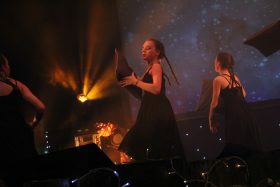 The dancers were hugely committed to the style and their musicality was impeccable, with lots of passion shining through. 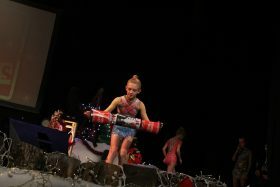 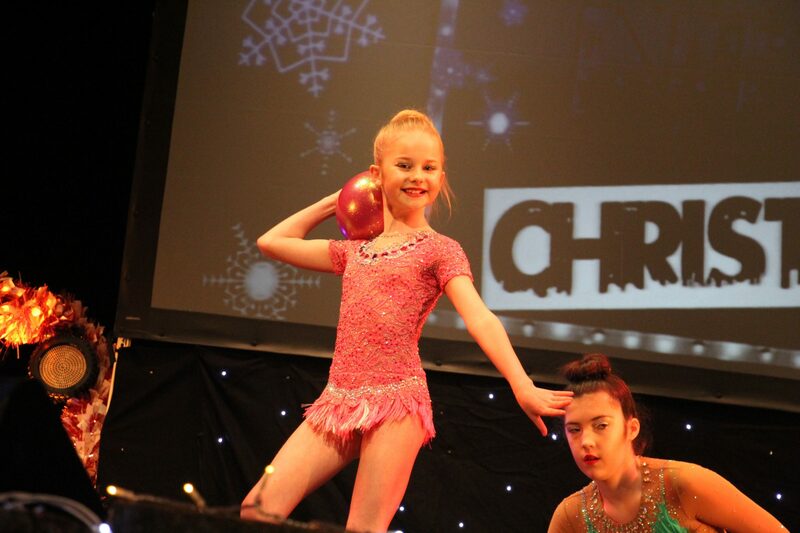 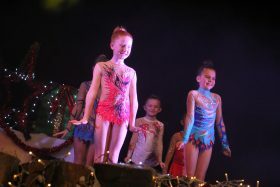 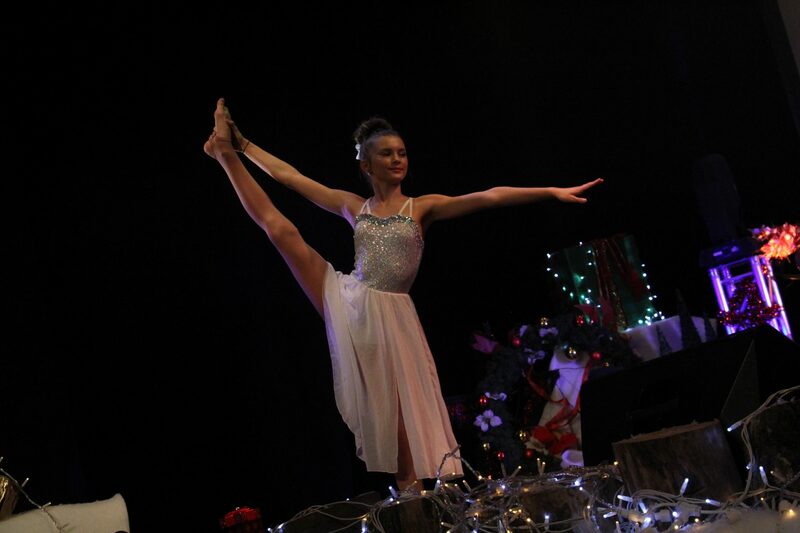 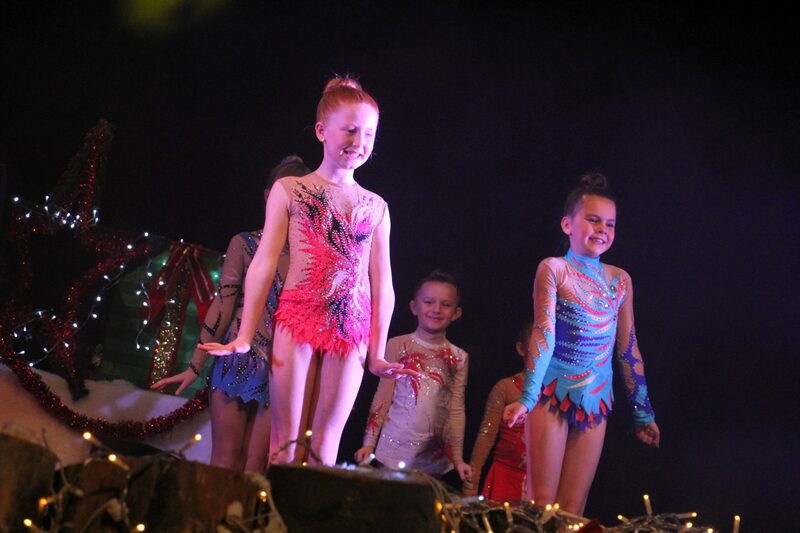 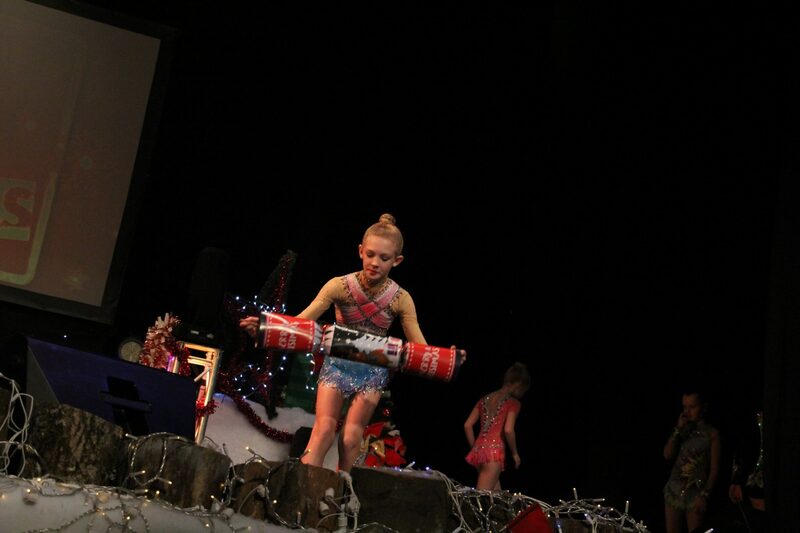 Olivia’s School of Rhythmic Gymnastics showcased the skills of some amazing mini gymnasts with their Christmas performance involving soloists whom regularly compete at the Welsh Championships. 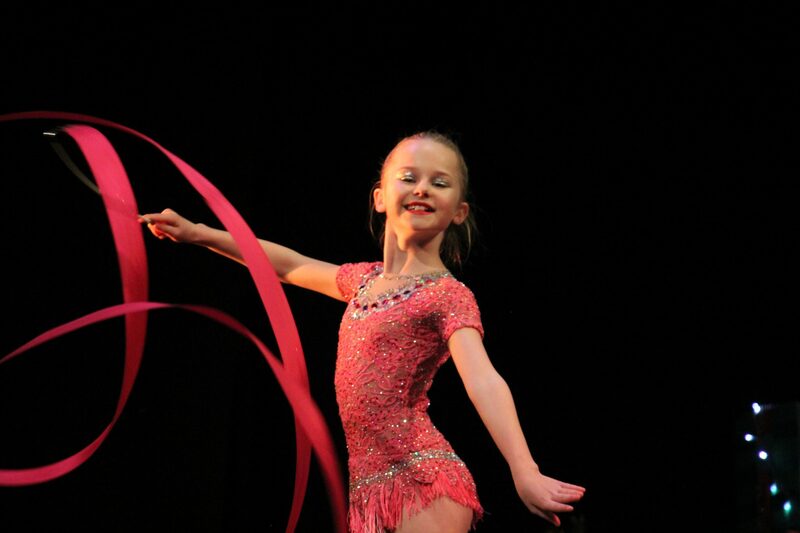 Olivia’s School of Rhythmic Gymnastics (OSORG) was set up by 22 year old ex-Welsh Rhythmic Gymnast Olivia Davies in 2016 who now weekly trains 50 members.OSORG has also been recognised within the local community and was a finalist at the recent Sporting Hero Awards. 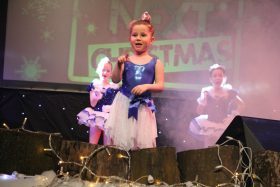 Natalie Salter Dance School based in Pontardawe were really excited to perform their Polar Express themed performance, and with over 19 years of teaching experience, Natalie offers her students many different dance styles which were showcased in this uber festive performance that showcased the range of ages of her students. 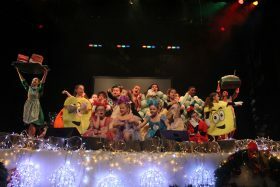 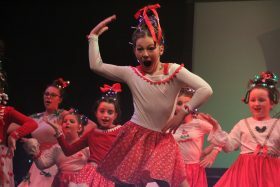 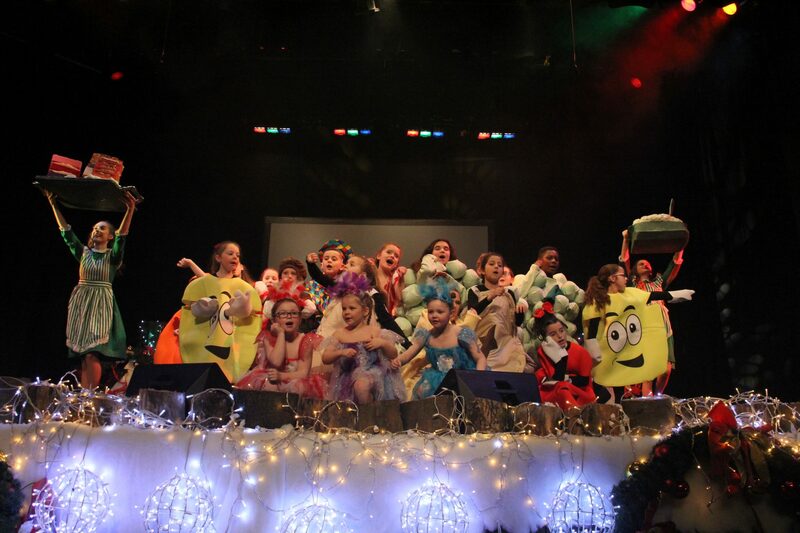 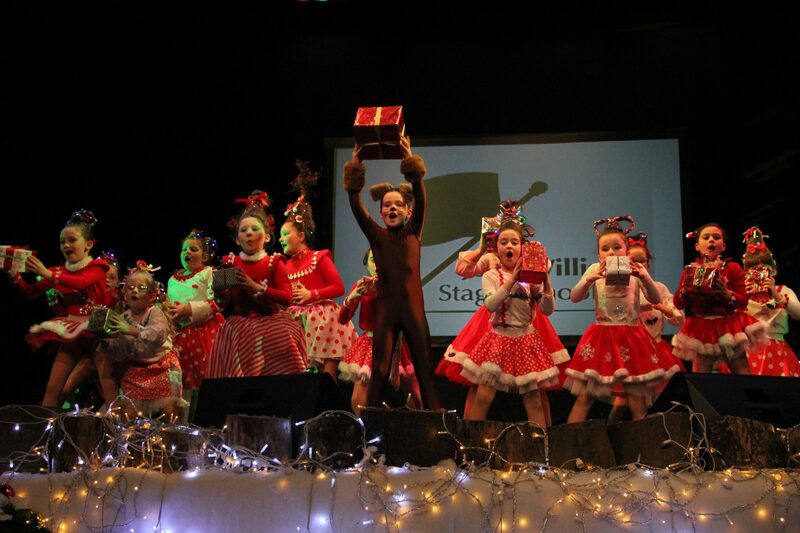 The Joan Williams Stage School was next on stage to give their hilarious take on “The Grinch (who stole Christmas)”. 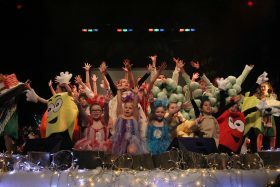 These costumes (and incredible hair styles) definitely had the Wow factor and the students clearly seemed to be enjoying their time on stage. 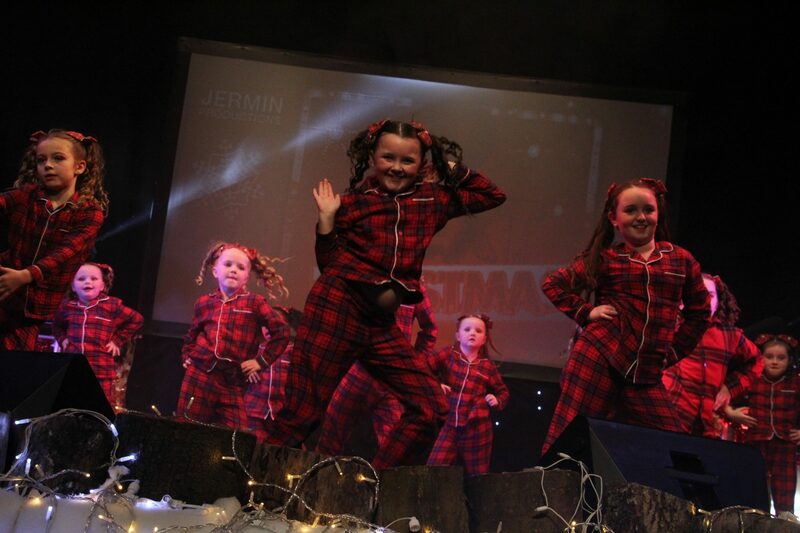 Joan Williams Stage School is a family-run stage school based in the heart of Swansea city centre which has gone from strength to strength to become a home from home to generations of pupils from the age of three right through to adulthood and even retirement. 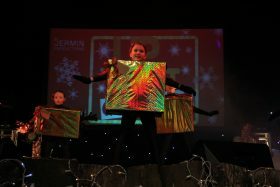 Rachel Smith (Joan’s daughter) said “We’re thrilled with how it all went and so are all of our parents, it was definitely worth all the extra effort for sure! 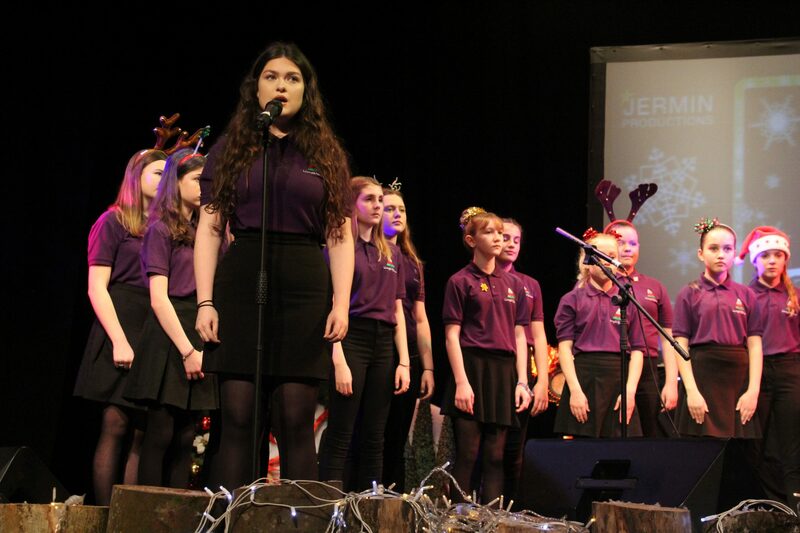 No Christmas show would be complete without its very own choir and Adran Lwyth y Llan from Ysgol Cymraeg Llangennech gave a beautiful performance showing off the choir’s Christmas repertoire. Lewis Richards the Musical Director of the choir conducted the pupils with ease and the choral numbers were well applauded by the audience. The talent came thick and fast at this showcase, with the focus on the youth of South Wales and the sensational talent we have within our local areas. Soloists included 15 year old dancer Luke Evans, who recently qualified to compete as a soloist in the United Dance Organisation Europeans and World Championships. 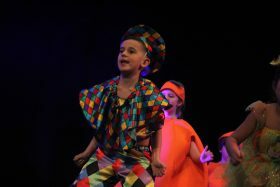 His team also qualified for the World of Dance finals which is to be held in California in 2018. 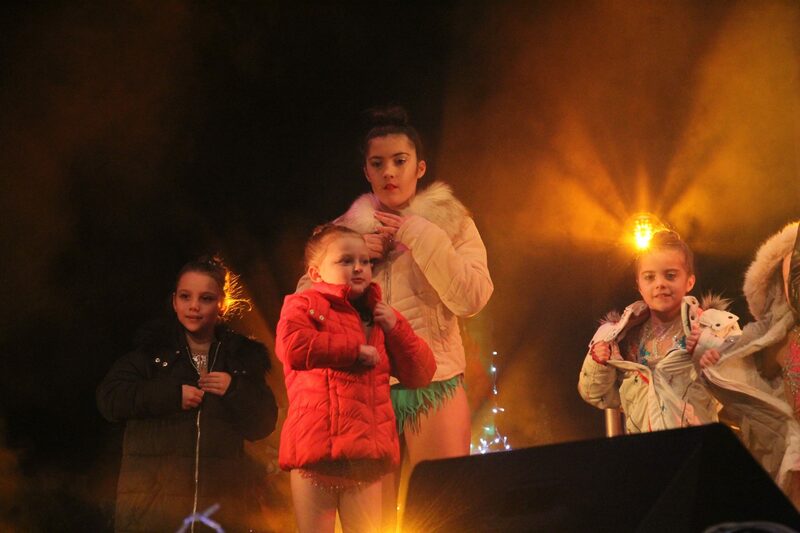 Singers 15 year old Jaimee Ivett Fraser who has a real passion for singing and Bridgend College student Caitlin Taylor also joined the stage to showcase their spectacular vocals. 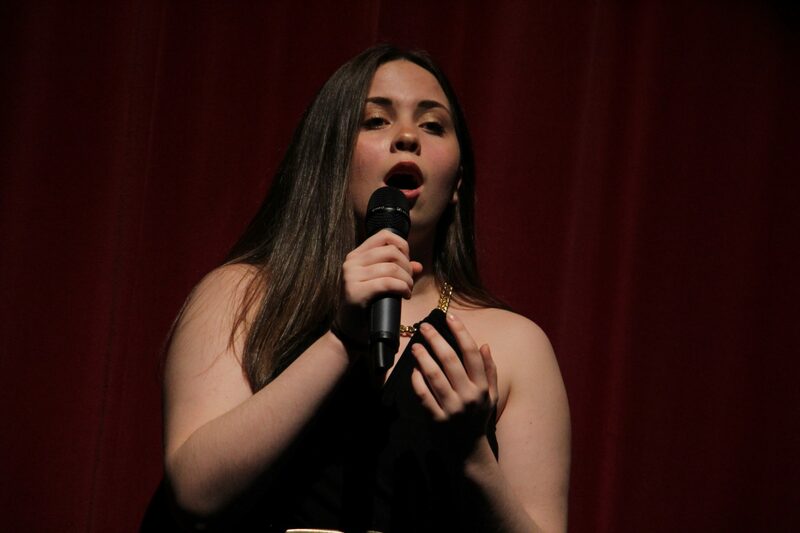 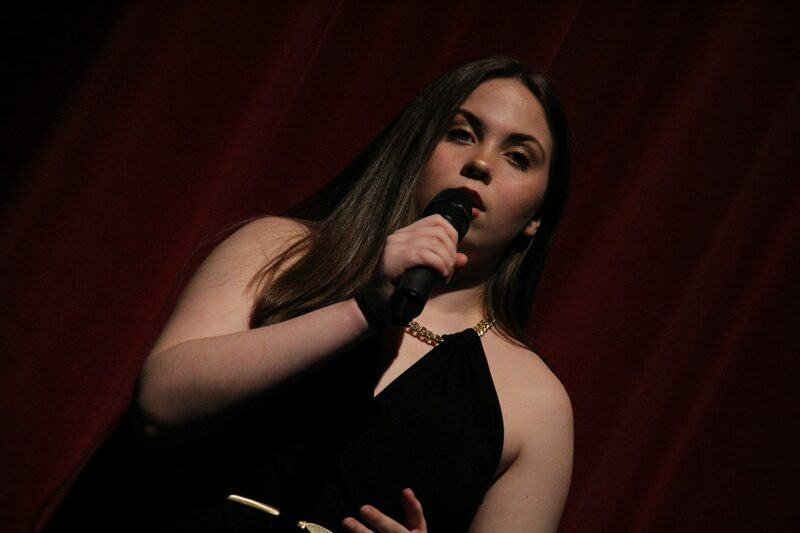 Caitlin has been performing since she was 5 years old and is hoping to work within the Entertainment industry when she graduates. 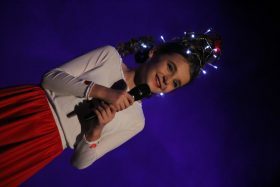 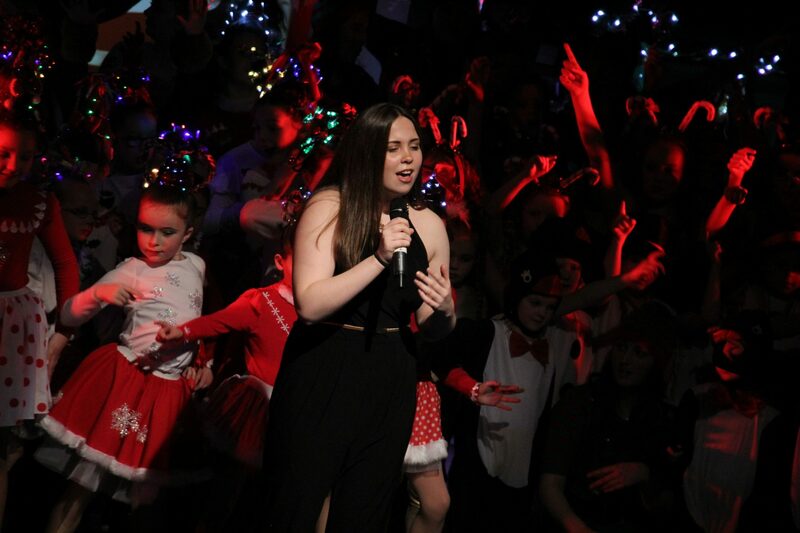 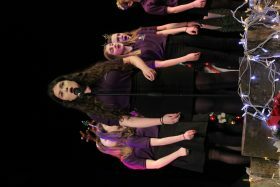 Both Soloists gave superb performances as well as offered their lead vocals on the finale “All I want for Christmas is You” which featured the whole UP NEXT Christmas Cast. 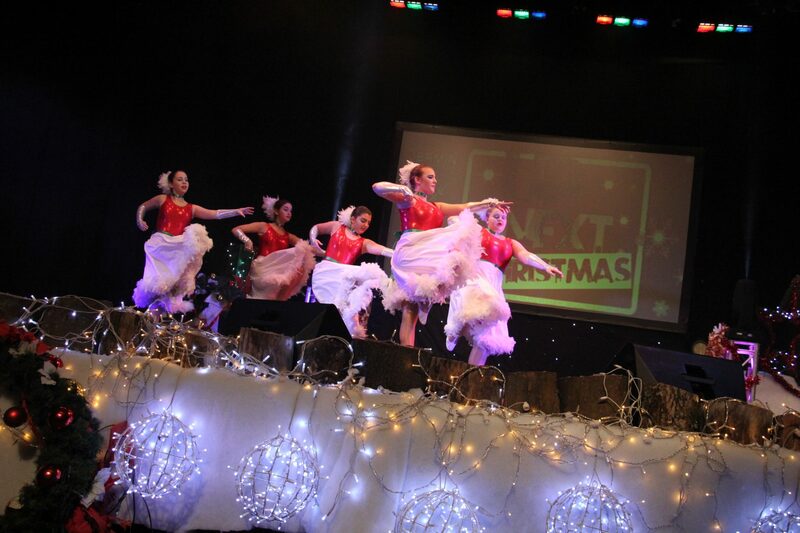 Some schools such as the LJC Academy travelled from Cardiff just to be part of this spectacular… Lisa Clark, Head of the School that offers dance and drama classes spoke highly of the Event “Thank you t for making us so welcome, and for giving my students this fabulous opportunity we enjoyed your show so much…. hope we can work again with you” Students from LJC Academy who are professionally trained for dance examinations” dance shows ” pantomimes and competitions gave performances of 3 routines including the beautiful “Hallelujah” by singer Lisa Allen and accompanied by the talented dancers from the school.